Our water damage Westview specialists at 911 Restoration are truly committed to fixing problems in the area fast so that you and your family can get back to enjoying one another in your Westview area home. So call us immediately at the very first sign of water damage so we eliminate all signs of moisture before mold ever becomes a problem! Mold and mildew can also eat into essential components of your home like floors and walls so trust us when we say that mold is not something that should be handled by a homeowner. With that said, our water damage Westview technicians are also mold remediation experts so we can take care of whatever infestation you’re dealing with at your residence. From water extraction to mold removal our company truly is the best, so if you’re looking for a team to take care of you and your home call our technicians today! What is the Best Water Damage Company in Westview? 911 Restoration Miami is the absolute best choice for high-quality restoration services because our water damage Westview team is on-call and available 24/7 to dispatch our expert technicians out to your home within 45 minutes, guaranteed. We do this because we want to make sure that permanent damage to your home does not happen and fast response to emergencies in Westview is the best way to avoid this. 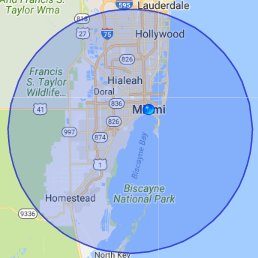 Westview, Florida is a moderately populated part of Miami-Dade County that receives heavy rainfall and the occasional hurricane or tropical storm. With so much potential water damage virtually everywhere in the region, the need for high-quality restoration assistance is that much more essential. Our water damage Westview technicians live amongst the 10,000 residents that call this beautiful city home so we are just as committed as you are to keeping the community safe and water-damage free. So regardless of where your water damage comes from, don’t wait for problems to turn into bigger ones and contact our water damage Westview experts at 911 Restoration immediately!